We spoke last week about baptism, in particular about Jesus’ baptism, in the experience John describes for his followers here in the Gospel of John, with the dove alighting on Jesus. In John’s description however we miss the words of blessing and declaration. In our text last week, we heard and focussed on those words that God speaks to not only Jesus, but ourselves as well: you are my child, you are beloved, with you I am well pleased. This declaration is rooted in who God is. God loves us lavishly and gracefully; forgiving mistakes as a parent would a child, allowing us to run off, find our own way, as we take hold of our independence. God is the bearer of judgment when ours is poor. God is the source of unconditional love even when we cannot love ourselves. The same is true for this first experience of Jesus for his followers. As mentioned last week, John had his own following of people; teaching and preaching and baptizing at the water’s edge. These followers of John, as described in this reading for today, become the first followers of Jesus. It might seem a little fickle, to jump from one teacher to another, but it’s human to seek that which gives us new life. Today it’s Brené Brown, before that it was Eckhart Tolle…we find those who say something we may have heard before but who say it in a new way. (It’s why I don’t stress too much about sermon writing – you may have heard a sermon on this text thirty times before…each of us just say it a bit differently…there’s comfort and challenge in that). Jesus preaching about the coming kingdom of God echoes John’s own preaching in his ministry, making that transition from Rabbi to Rabbi, from teacher to teacher, that much easier. So when John points out Jesus to his followers, he encourages this peaceful transition of power, he supports them taking this next step in their faith journey. Sometimes when reading the Gospels, the story of Jesus’ life, we treat it with (its due) reverence and we forget that choices were made to tell in the story in a different way. In the Gospels of Matthew and Luke, we are first introduced to Jesus as a baby. In Mark, Jesus comes as an adult seeking baptism. 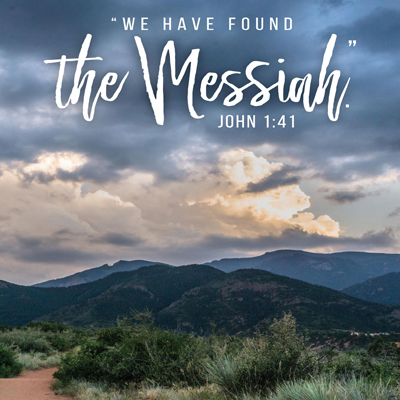 And in the Gospel of John, Jesus is described as the Word, a mysterious presence around before Creation and who appears in flesh and blood as the articulated love of God. It’s no accident that when this Word speaks for the first time, he asks a powerfully challenging question. That’s one of those questions that speaks to the ache of our being. What are you looking for in terms of church? I guess it depends on the week I’ve had. There are some weeks, I’m looking for church to be that moment of peace, a moment to pause the dizzying merry-go-round of life so that I can steady my head and my heart. I’m looking for music to be uplifting, inspirational; for silence to remind me to listen as much as speak. I’m looking for community – not the community I choose – based on my likes and dislikes – but a community shaped by God, what God determines it to be. But what are you looking for? What got you out of bed and through those doors today? What keeps you coming? What are you looking for? If we can answer that question, we find the language to be able to be evangelists. When we have a great meal, when we’re fed well, or cared for well, we go from that place and tell anyone who asks what a great experience we’ve had. That’s the root of evangelism, even though in the church it’s become a bit of a dirty word. So often it turns into that awkward, knock-at-the-door, ‘have you accepted Jesus Christ as your personal Lord and Saviour.’ We’ve all had those moments when we’ve thought, I’m a Christian, but I’m not that kind of Christian…That in-your-face judgmental faith that is suspect of anything outside of what this individual has experienced. Evangelism is even more difficult in our very secular age in which we find ourselves, when being a person of faith invites suspicion and ridicule. But the need for evangelism in our world is just as great as ever. As Meryl Streep put it just last week, “Disrespect invites disrespect. Violence incites violence. When the powerful use their position to bully others, we all lose”…or how President Obama in his farewell address reminded the whole world that we need “a basic sense of solidarity…for all of our outward differences (we need to be reminded) that we rise and fall as one.” How powerful would it be for a person of faith to ask what a person needs, and listen to their concerns, instead of speaking? How powerful would it be for us to share a meaningful experience that fed us, without expectation of the other? Jesus makes it look easy. He asks what are you looking for, and the followers answer Rabbi…it becomes apparent that they’re looking for a teacher. And his response? Come and see…On this great journey of faith, three little words unlock the secret to evangelism. Come and see…make up your own mind. Discover what God has in store for you. If I said, we’re having a lunch downstairs (and you ask – what are you serving?) and I responded, Come and see…wouldn’t you be just a little curious? Evangelism is as simple as an invitation. In my previous church, there was an evangelist. He served on committees and even took on some of the janitorial and security work of the church, but it was what he did outside the building that revealed his deep faith. The church was on a busy corner in the downtown, and one day as he was pulling into the parking lot he spotted a young girl watching him. When he got out of the truck, she was there, smiling, and asking him how his day was going. Taken aback by her forthrightness, he answered, but still wasn’t sure what she wanted. But she looked cold. And hungry. So he invited her into the church, may have even said the words, come and see, as there just happened to be a meal on that day. He turned the conversation to her, asking what she was looking for, what did she need…and as he pressed, she got more and more agitated before ultimately leaving. When he came into the church to tell the story, those who heard it made him realize something. In his innocence, he didn’t realize that she was trying to proposition him. The church tended to be a hangout for prostitutes, and all he saw was someone in need. He wanted her to come and see the welcome and love that the church would offer. When Jesus invites us to follow, when Jesus invites us to come and see, he shows that you don’t have to be the best preachers in the world to invite others along for the journey. He doesn’t call the equipped – people with innate talents ready to market the growing church, or smooth tongued orators ready to smooth over relations with both the Jewish and Roman. He calls…us. In the fields in which we find ourselves: Teachers. Church administrators. Seniors. Broadcasters. Domestic engineers. Moms and Dads. Retirees. Kids and youth. Office workers. Employees and managers. Singles and couples. He calls us to live a life to which others aspire. Caring for others and better their lives. He calls us to discover that our needs can be met by serving others. He invites us to share a hopefulness about our world, rather be carried along the ever persistent current of negativity. He invites us to come and see.